So, episode 22 of Shingeki no Kyojin was pretty sad, huh? I always knew Levi was a good guy, though. Oh wait, wrong series. Ahem, so after Dr. Frog delivers his prognosis of Febri’s condition, he also tells Misaka that Febri’s body naturally produces toxin that can only be neutralized by the disgusting lollipops that she totes (the classic meaning) around in her bag. Unfortunately, the doctor predicts that she’ll run out of these lollipops within 72 hours. The scary, yet unsurprising, part of all this is that Febri doesn’t seem to know that she’s an artificial being, unlike say Hyouka from Index who was aware of her creation. For some reason, this whole scenario reminds me of a lot of the Pokemon movies. Ash and gang would often encounter a cute, unsuspecting legendary Pokemon that would be both the target of evil scientists and the key to restoring balance to the world. 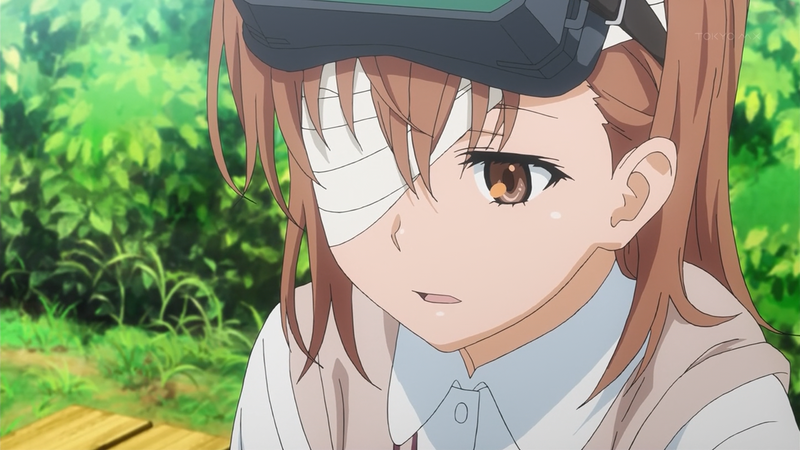 We also see the return of MISAKA 10032, who seems to be feeling a bit jealous of Febri, since Misaka appears to be more concerned about her than her own “sister.” However, she’s able to provide a bit of insight to Febri’s character, revealing that she apparently has a personality that was created in a similar way to the Sisters. This points a big finger towards Nunotaba and her Testament program. Right now, I’m predicting that Nunotaba set Febri free to seek out Misaka to put an end to the scientists’ experiments, which would explain why Febri already knew her name. 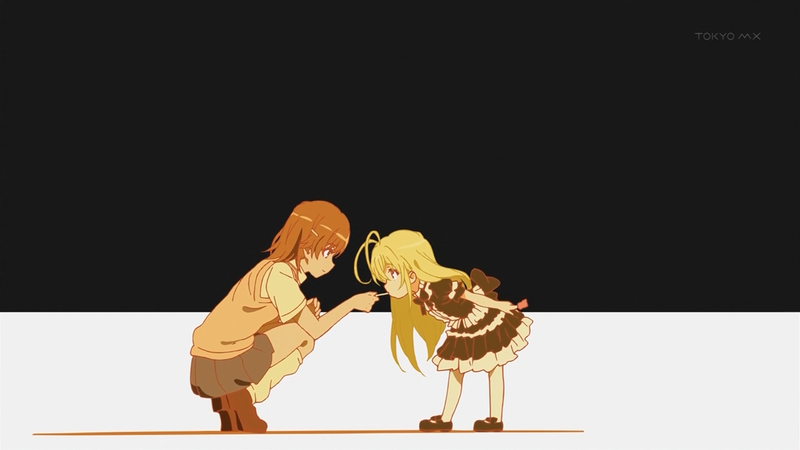 This episode, we see what’s in my opinion a huge step for Misaka’s character. For the entirety of the Sisters’ Arc, she shouldered her burdens by herself, but now (with some sound advice from Kongou) she’s willing to open up to her friends about her problems. It sounds like simple teenage stuff, but I think Misaka’s problems are bit unconventional by those same standards. Personally, I wouldn’t have been so hesitant to ask for help, especially if two of my best friends were in Judgment. Unable to talk Misaka out of tracking down Febri’s creators, Dr. Frog reintroduces Misaka to an old “friend,” Therestina. 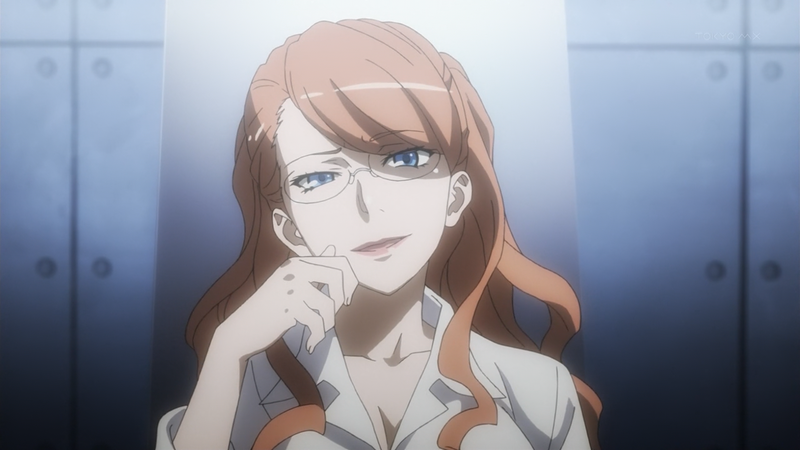 Some of you might remember her from the first season of Railgun. I wonder what specific reason, other than her connection to the dark side of Academy City, makes her a good partner of Misaka’s objective. Also, more ITEM next week, but this time with swimsuits!